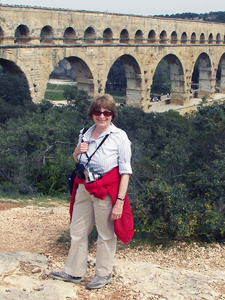 Jane C. Waldbaum is professor emerita of art history at the University of Wisconsin-Milwaukee where for almost 30 years she taught graduate and undergraduate classes on Greek, Roman, and Egyptian art and archaeology as well as the introductory survey of ancient and medieval art. She also taught an occasional special seminar on “Ethics in Archaeology, Museums and the Art Market” in which she explored vital contemporary issues facing archaeologists and museum professionals. Jane received her Ph.D. and M.A. in Classical Archaeology from Harvard University and her B.A. in Mediterranean Studies from Brandeis University. Her major research interests include interconnections and trade among ancient civilizations in the Eastern Mediterranean in general, and more specifically, early metalwork and metallurgy in the eastern Mediterranean, and East Greek pottery that was produced on ancient Greek sites in what is now western Turkey and traded throughout much of the Mediterranean in the late 7th century B.C. Jane has worked on excavations at Gordion and Sardis in Turkey, publishing a volume on “Metalwork from Sardis,” covering the finds in bronze, iron, gold and silver excavated at the site from 1958-1974. She has also participated in excavations at Idalion in Cyprus and, from 1986-1998, at Ashkelon in Israel, where she published the imported East Greek pottery from the site. From 2003-2007 Jane served as President of the Archaeological Institute of America, the oldest and largest archaeological organization in North America, and from 2008-2014 she was President of the Archaeological Institute of America-Milwaukee Society. She has also served on the boards of the American Schools of Oriental Research and the W. F. Albright Institute of Archaeological Research in Jerusalem.